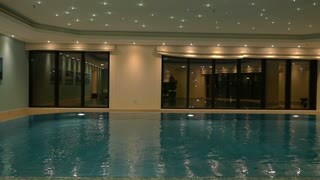 Slow motion shot of man and woman jumping to swimming pool holding hands. 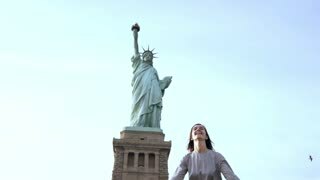 Successful European female freelance worker jumping high with joy enjoying good living at Statue of Liberty slow motion. 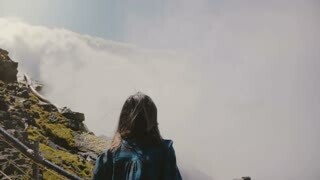 Slow motion happy excited tourist woman smiling and jumping of great joy at epic Niagara Falls waterfall panorama.